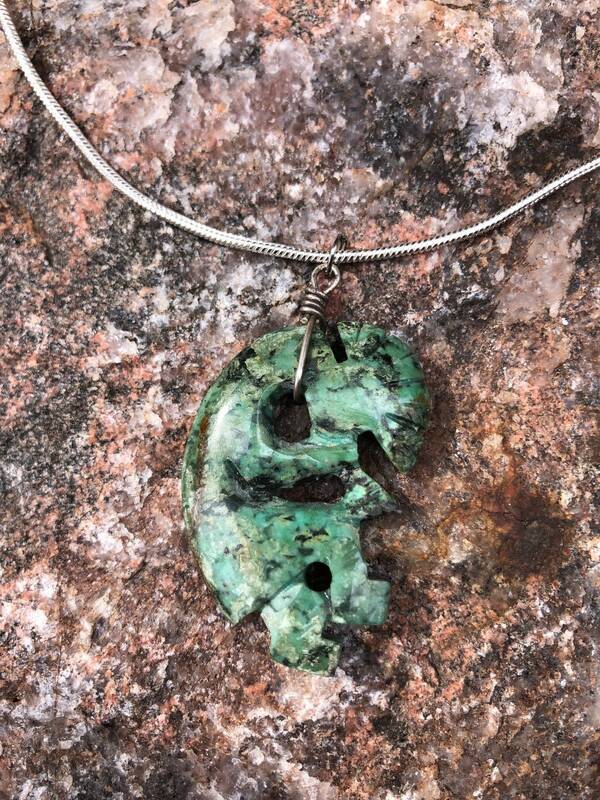 A uniquely designed southwestern hand carved green turquoise Kokopelli on a sterling silver snake chain. Green turquoise was thought to be inferior. It was believed by the ancients that blue turquoise did not lose color over time, and that stones with lesser blues would eventually fade to green. However, history has shown that this is not the case. Since recent times, the demand for green turquoise has increased. The Kokopelli is a common fertility symbol throughout the Southwest. In Native American beliefs, the Kokopelli visits various communities, seducing and impregnating the young women drawn to the tones of his flute playing. The Kokopelli is also believed to bring rain. 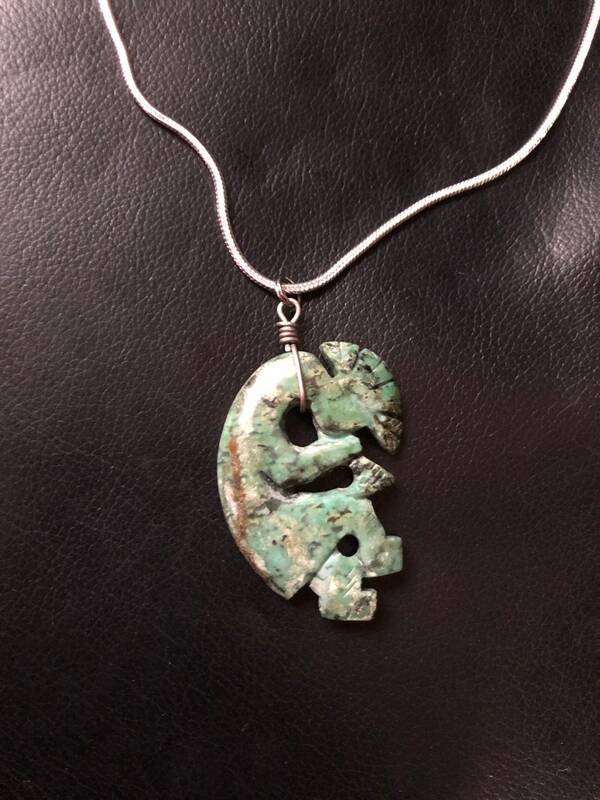 The Kokopelli measures approximately 1/2 inch wide at it's widest point and 1 inch long. This necklace would be stunning over a solid color sweater or dress.